The proposed café more than doubles its size to support the increased traffic generated from the new adjacent Reading Room. 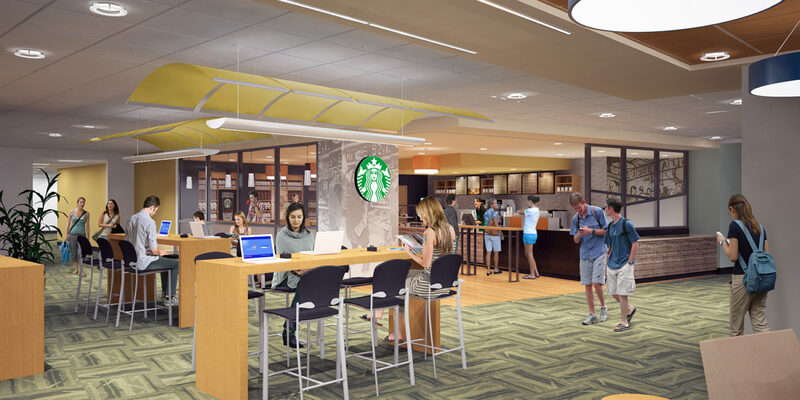 It is anticipated that the expanded café will more than double its annual revenue. 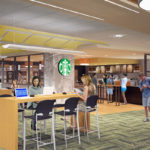 To accommodate the expansion and properly service the enlarged café, it was relocated on the floor. 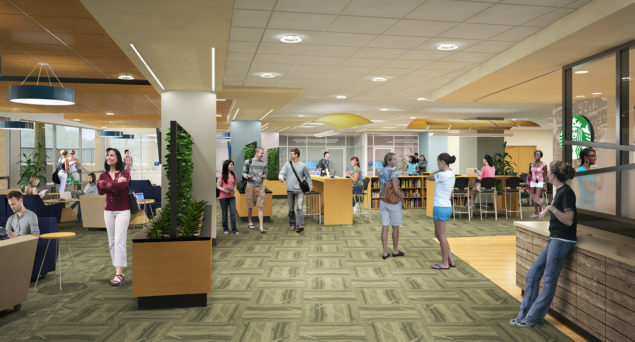 Existing uses are to be moved and reorganized to integrate seamlessly with the overall library. 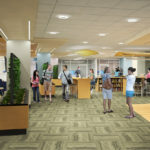 In order to integrate with the phased renovation and reorganization of the overall libraries, relocation of individual departments and creation of a three story atrium are proposed to be completed in Phases 7 and 9.